They say everything is big in Texas. 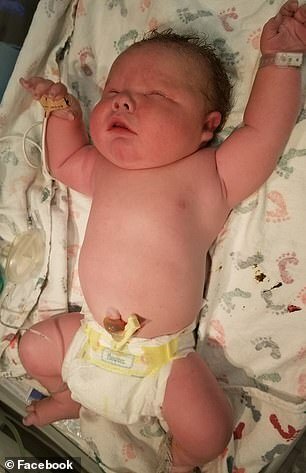 And this baby just broke a record as one of the biggest ever born in the Lone Star State. Ali James Medlock was born in Arlington on December 12 weighing 14 pounds, 13 ounces, stretching 21.5 inches long, according to USA Today. To put that in perspective, most babies weigh between six and eight pounds, and measure under 21 inches long. 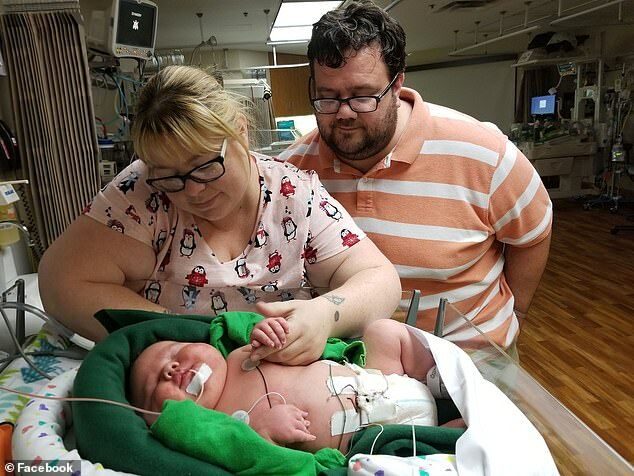 Ali required intensive care after his C-section delivery, partly due to his size. The newborn’s blood sugar was dangerously low, as were his platelet levels, and he was short of breath. But after a week, his parents Jennifer and Eric, both music teachers at a local high school, were able to take him home to meet his two-year-old sister Annabelle. Annabelle had been a big baby – weighing a little over nine pounds – so they expected something similar. But not this. Indeed, the doctor said in 30 years of delivering babies he’d never encountered such a large baby. The biggest baby ever born in the world was in Seville, Ohio in 1879, weighing 23 pounds. The boy died 11 hours later. 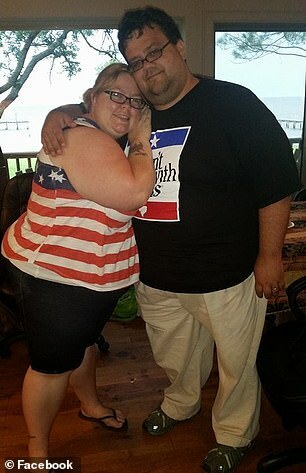 The biggest ever born in Texas was JaMichael Johnson, weighing in at 16 pounds after his delivery in 2011. If a baby is particularly big, it’s likely the mother had diabetes, so doctors get straight to work monitoring the child’s blood sugar levels and examining their organs.